The Ventura line of modular signal transport solutions is designed with carrier-class specifications and features in mind. 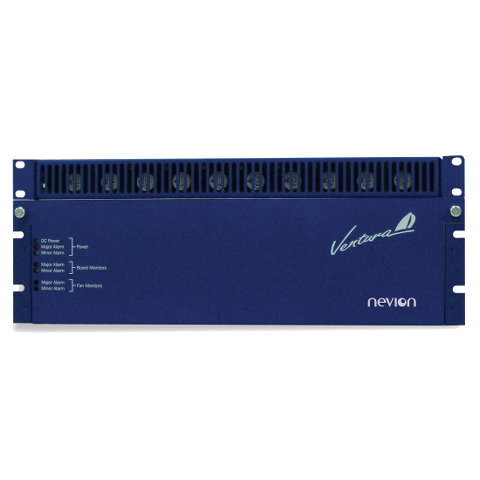 Whether it is dark fiber transport, telco interfacing to SONeT/SDH or iP with or without signal multiplexing, the Ventura platform fulfils today’s and future signal transport needs. The NebS-compliant Ventura platform can transport analog or digital video with associated audio as well as data in a variety of formats, thus providing probably the most versatile products for high quality content delivery. JPeg 2000 and MPeg2 compression schemes enable video transport over a wide range of network interfaces and bit rates.